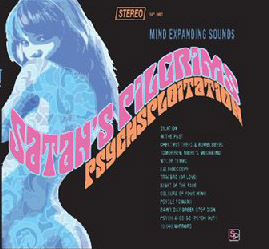 Satan’s Pilgrims’ first full album of newly recorded material since 1999!!!! Skip Heller is the true heir-apparent of exotica, having been mentored by legends Les Baxter and Robert Drasnin and his work with Yma Sumac, Korla Pandit, and many others. His work as a film and TV composer includes stints with Dexter’s Laboratory, The Flintstones, The Bernie Mac Show, and several Disney TV programs. 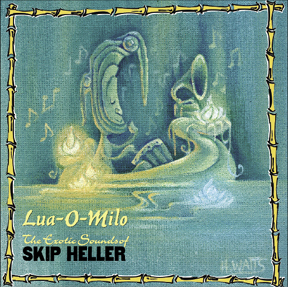 “Lua-O-Milo” (Hawaiian for “isle of darkness”) is the first time Heller has gone all-out exotic for an entire disc, and what a voyage it is, a sort of tiki noir tribute to Baxter and Drasnin, but with touches of everything from film noir to Wall of Voodoo. Featuring a diverse cast of musicians including Robert Drasnin and X drummer DJ Bonebrake, “Lua-O-Milo” is likely the most significant exotica disc by a new artist since the genre’s Kennedy-era heyday.